Wow never thought I would be posting on something with a name like Smelly Stinkhorn Fungi. I found one of the “eggs” a while ago and wondered what it was. Recently I spotted the fungi just starting to grow and decided to leave it. It is the weirdest stuff I have ever seen. As it grew I noticed the tar type substance that was produced, called slime. This slime smells like dead meat. 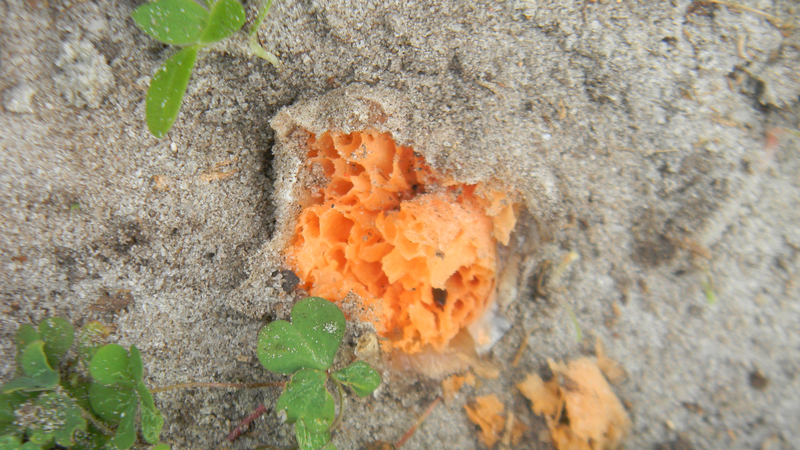 The fungi produces the slime to attract bugs and then the bugs carry it off to other places to reproduce. There are many types of this fungi and some are very interesting looking like a squid, lace or a brain. 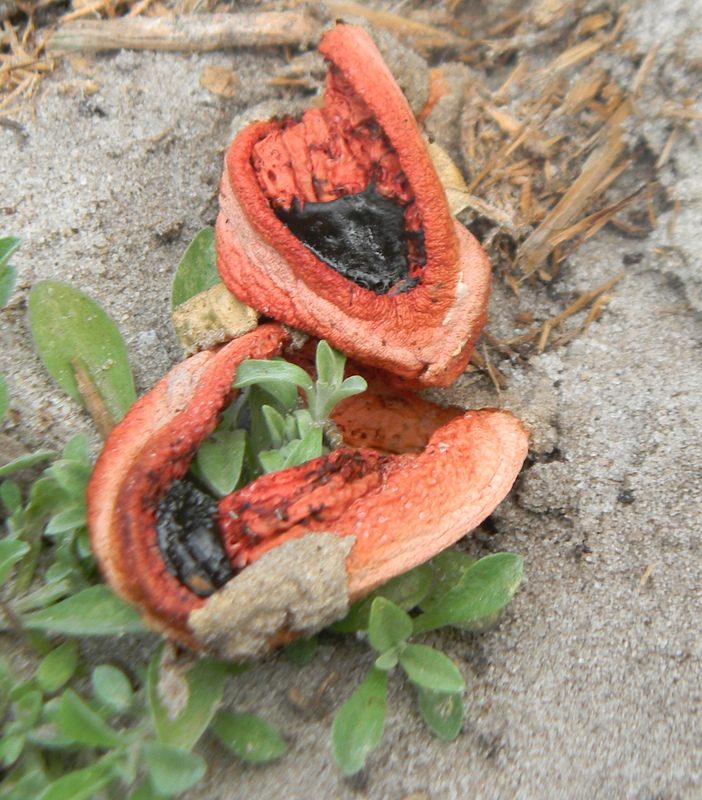 The one I found in my yard is the Clathrus Columnatus. The Mushroom Expert has a great website on all the different types of Stinkhorn. From what little research I have done the “eggs” are edible and used by the Chinese in cooking, after removing the slime. But I wouldn’t try eating it. 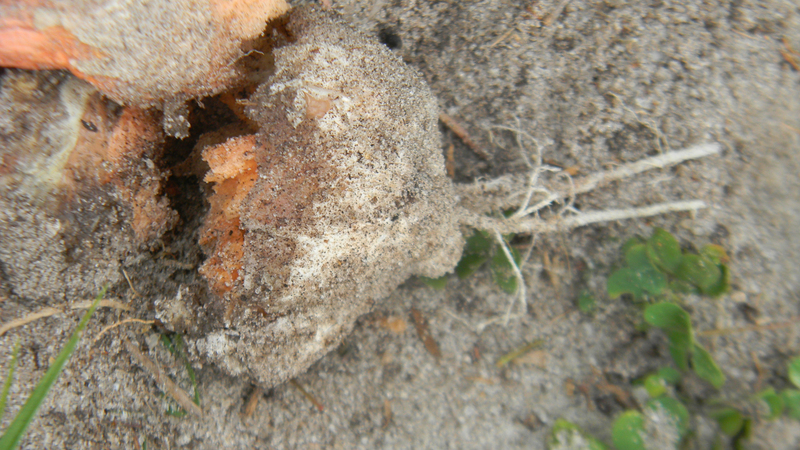 One of the great things I found about this fungi is that it is beneficial and helps build up the sandy soil of Florida. I think I would need a truck full in my yard to help. 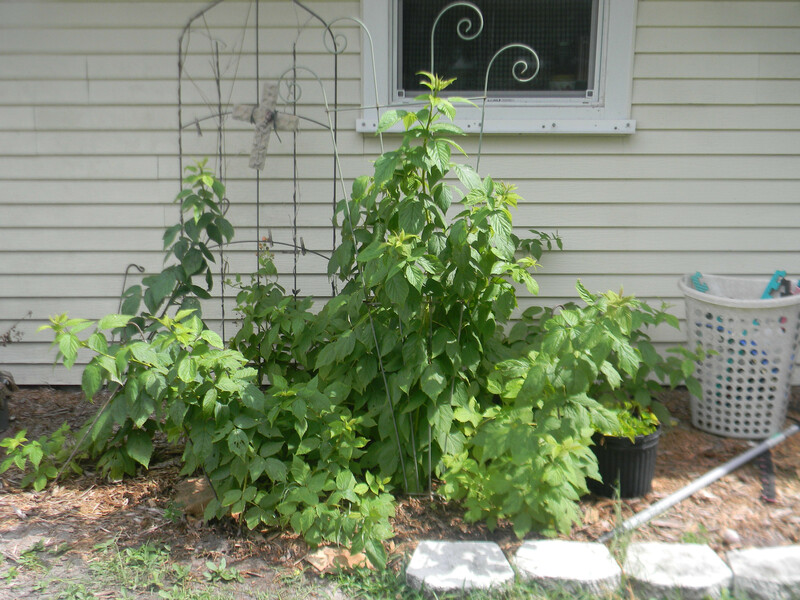 Here is a good website from the Extension Service in Florida. 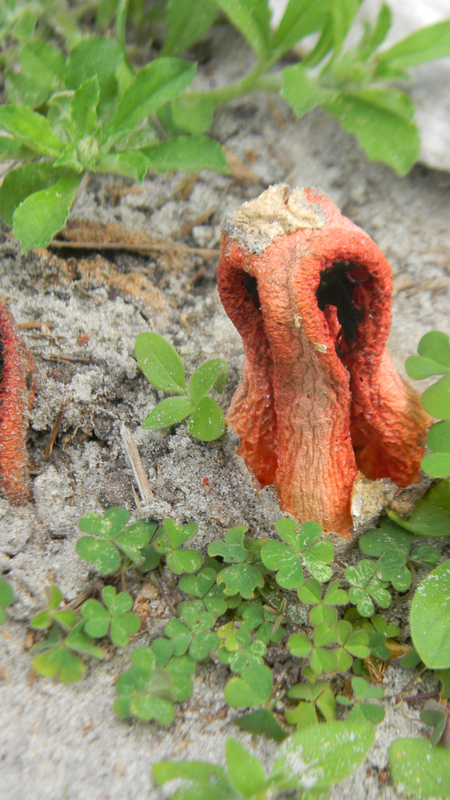 This entry was posted in Gardening, Photography, Posts and tagged Clathrus Columnatus, Stinkhorn Fungi, stinkhorn fungus. Bookmark the permalink. There are many things that make up the soil. Never knew these grew in Florida !